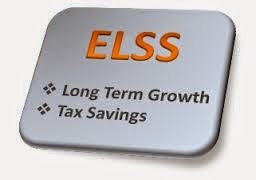 Home » ELSS » Financial Planning » Income Tax » Save Money » ELSS Funds for Tax Saving and why invest in them? Tax planning may make an ordinary investor nervous at the first glance. Equity Linked Savings Scheme (ELSS) offers a simple way to get tax benefits and at the same time get an opportunity to gain from the potential of Indian equity markets. Simply put, ELSS is a type of diversified equity mutual fund which is qualified for tax exemption under section 80C of the Income Tax Act, and offers the twin-advantage of capital appreciation and tax benefits. It comes with a lock-in period of three years. Why should one invest in an ELSS? * There is no upper limit on investments. However, investments of only upto Rs.100,000 per year are allowed to be claimed as deductions under Section 80C of IT Act. Like all investment options; ELSS too come with its share of advantages and disadvantages. Main advantage of ELSS is its short lock-in period. Maturity period of NSC is 6 years and PPF is 15 years. Since it is an equity linked scheme earning potential is high. Illustration of Tax exemption for a male person less than 60 years in receipt of salary income for the assessment year 2013-14 (FY 2012-2013). It is suitable for all types of investors who are not risk averse and need to invest in tax planning instruments. Though there is no age to get started on an ELSS, it is good investment to have for those who are just starting their careers as it can help them shed their inhibition about investing in equities through mutual funds in a big way. Caution: Investment in ELSS carry high risk and any investment decision needs to be taken only after consulting the Tax Consultant or Financial Adviser.